Shenzhen is a vast city of modern skycrapers, high end shopping malls, international hotels and restaurants that can satisfy any new world food preferences. 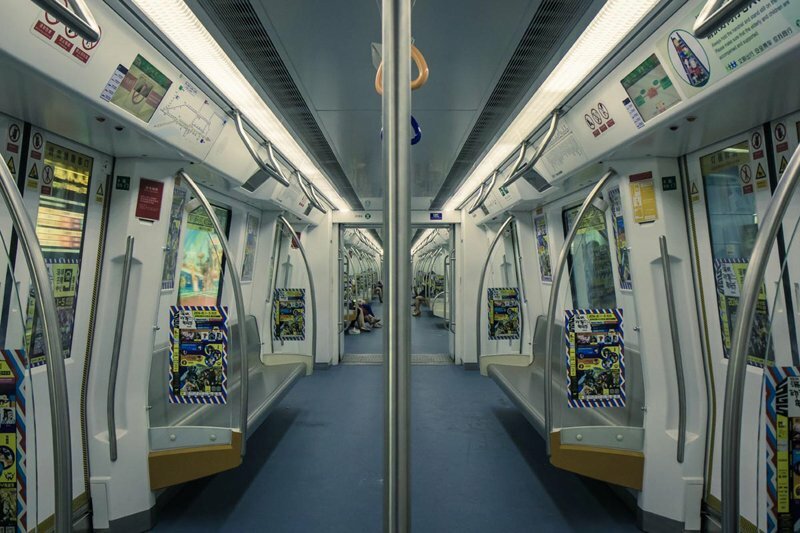 As China opens more and more to the West, Shenzhen has strategically positioned itself at the forefront of the push for world status as a substantial hub for business and technology. But just thirty years ago Shenzhen was little more than a small fishing town on the shores of the Pearl River Delta. 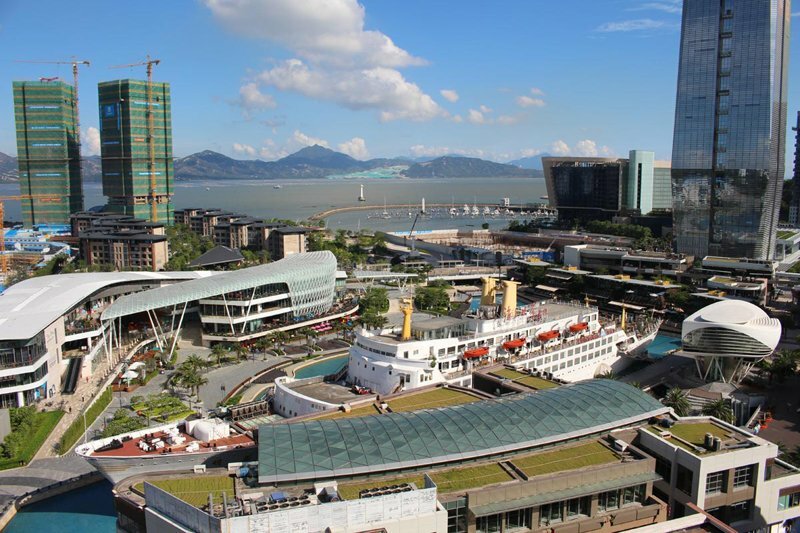 Its location, just across the border from Hong Kong on mainland China, has been instrumental in its recent boom. In 1980 Shenzhen was awarded the honour of becoming the first of China's Special Economic Zones (SEZ) by forward-planning Chinese leader, Deng Xiaoping. Part of the success of this city is that Shenzhen is a geographic hub. It is incredibly easy to get to. My partner Vanessa and I currently live and work here as English teachers and there is a high demand for our services. We're not the only ones. There are many thousands of other expats like ourselves, who have also chosen to come here and teach. On our latest return to the city we currently call home we flew into Hong Kong, a transport hub in its own right. At HK International Airport there is no need to trouble yourself with Hong Kong Immigration or your luggage transfer. From within the airport you can buy your ferry ticket, have your checked luggage automatically collected and head for a ferry transfer at one of the piers right below the terminal. It all works seamlessly to ensure that your entry into Shenzhen is as easy and efficient as it could possibly be. Forty minutes away, on the other side of the water, entry into China is a breeze, assuming of course that you have your visa in order. It's even possible now to get a VOA (visa on arrival) for some nationalities, allowing a five day stay in the city area of Shenzhen, bypassing lengthy visa applications for short trips. 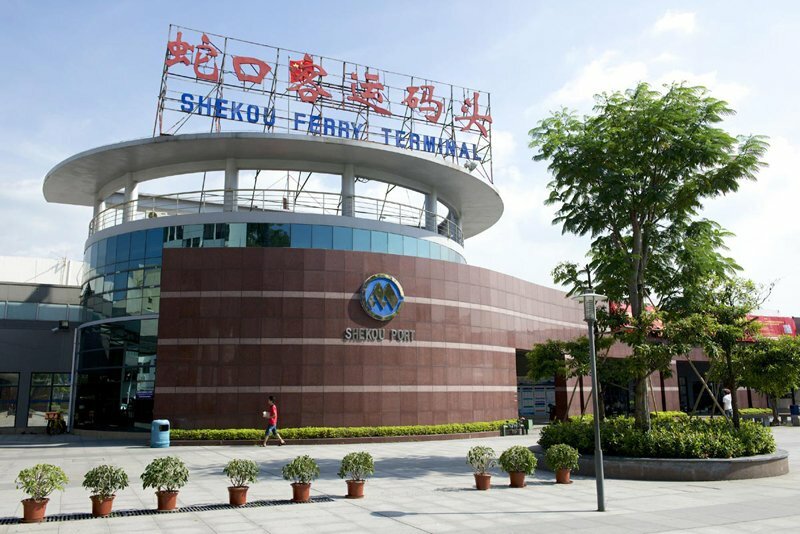 At Shekou Port, the gateway to Shenzhen, buses, taxis and a very modern, efficient metro system are all available to whisk you to your final destination. They've even labelled the metro and bus stops in English, and useful location maps can be found streetside at almost every turn. I recently read a news article which suggested that if every TEFL (Teaching English as a Foreign Language) trained teacher came to China there still wouldn't be enough English teachers here to satisfy the demand. We both work for a private company which offers classes for anyone wanting to learn or to improve their English. Our students are from a wide variety of backgrounds and ages. We teach kids whose goal (or whose parents' goal) is to study abroad, perhaps at an English, American or Australian university. We also teach young adults hoping to travel abroad. I often ask my students where they work and what they do. Nine times out of ten the answer involves some type of IT or modern technology design, manufacture or distribution. I imagine if you take a look around your home now, much of your technology equipment or home gadgets will almost certainly contain something manufactured in Shenzhen. It may even have been manufactured here in its entirety. Electronic chips, switches, LED lights, mobile phones, computers, screens, keyboards, cables. They are all made here. There are countless technology parks - modern gatherings of high-tech businesses - each housing dozens, sometimes hundreds of companies in beautifully landscaped environments. When teaching in these businesses it’s sometimes difficult to remember that I'm in China and not Silicon Valley. Beyond the city limits you will find the factories - acres and acres of hi-tech manufacturing businesses making modern technology products for the rest of the world. A small sample of the companies based here includes mobile phone giants ZTE and Huawei. Haven't heard of them? You will. They produce and sell millions of units here in China and are aggressively expanding into Europe and beyond. Foxconn has an enormous factory here - they manufacture the iPhone for Apple. You'll find Chinese computer company Lenovo, and other manufacturers who churn out computers, laptops and phones for companies like Nokia, Dell and HP. We also do contract teaching work outside of our regular school hours for other businesses, many of which will pay to train their staff to improve their English. It is here that we see clues as to how much of a technology hub Shenzhen has become over the last twenty to thirty years. One of our current clients is a company called Mediatek. They make chips for smartphones, TVs, computers, cars, or anything else that uses microchip systems. They are headquartered here, but have offices all over the world. Their main rival is Qualcomm, who are headquartered in San Diego, but also have offices here in Shenzhen. Alongside the giants of modern Chinese industry there are thousands of smaller businesses providing the parts and infrastructure to support the manufacture of tech for the world. Chips, cases, boxes, packaging, logistics - its all here. Anyone and everyone with a start-up idea comes to Shenzhen from all over China to seek and make his or her fortune. Life is lived at a frantic pace. People's time is filled with work or study, or a mixture of the two. But for those who have made it there are ample opportunities to relax. High-end restaurants cater for all tastes, and luxury spas offer 24-hour-a-day pampering. Success is on display everywhere. It's not uncommon to see expensive car brands like Porche, Ferrari and Maserati in the central districts like Futian and Nanshan. Most middle income families aspire to own a Mercedes, Audi or BMW. You'll see so many of these quality German autos amongst the high-end Italian thoroughbreds, it would certainly appear that many Chinese are achieving their Western aspirations. Shenzhen is at the forefront of the push towards a modern China, and is clearly competing with Hong Kong to become a world hub for technology. A look around this amazing city will convince you that they are well on their way.